This is Joe Schaefers, I would like to thank you for invite me, Mom and Uncle Dan to come at your ranch called Rancho Encantado in South Texas, to take my very first whitetail buck and the little javelin boar with a rifle. You and Cade Green help me shoot better and control my breathing so I can take this nice 6 year old buck known as Wiygis, a 26 inch wide 10 pointer who is scored 151 when I shot him at 50 yards from the tower blind. I also shot a little javelin boar in a different tower blind right next to a small field, and I shot him at 50 yards and he fell right in his tracks. 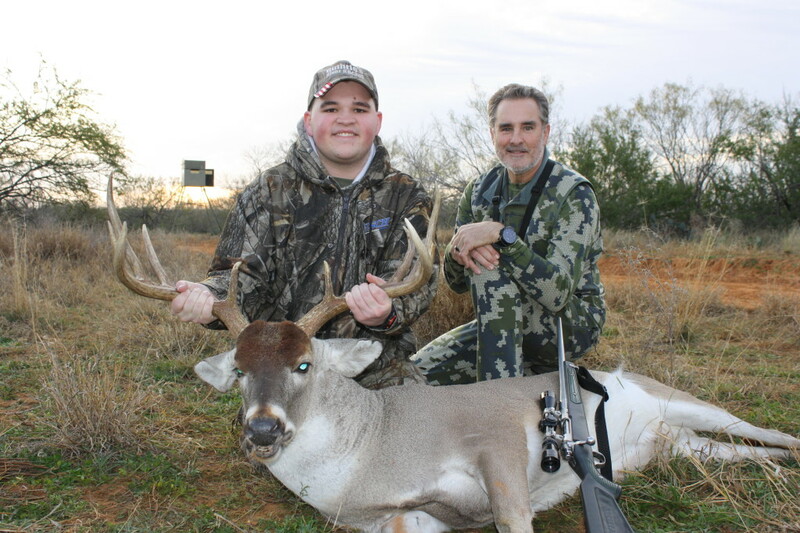 Cade Green also, helped Uncle Dan kill his first South Texas buck with a rifle and he shot him at 80 or 85 yards from the tower blind, and he’s a nice 8 pointer known as Dumpster, who is scored about 138. I have been collecting your hunting videos for 5 years and I can’t wait to come back to your ranch again when I get out of college to start my own hunting show just like you.